Here’s another great Shopify theme from Evolution Design. This time it’s wholesome and homely all the way. 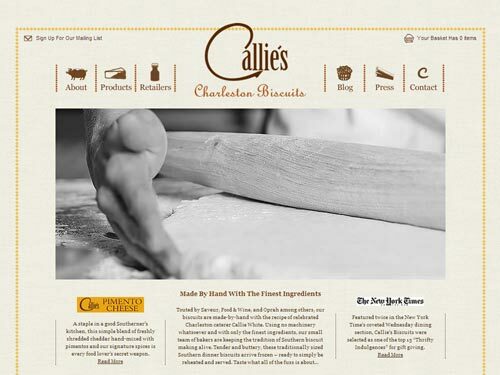 I’m not 100% sure what Charleston Biscuits are but they look tasty, I think they might be what us Brits call scones but they have definitely got nothing to do with custard creams. As with other Evolution designs I’ve seen this theme is really well made, it’s all about the family business and the southern states. I especially like the main navigation icons, they look great.